Dubai: Starting January 1, 2019, all Indians flying to the UAE on employment visa must pre-register with an Indian government recruitment portal, failing which they will be offloaded. India has made online registration mandatory for all Indians not requiring emigration checks going for overseas employment to 18 notified countries including the UAE. The Ministry of External Affairs (MEA) has issued an advisory announcing the mandatory registration of Non-Emigration Check Required (Non-ECR or ECNR) passport holding Indians through the website www.emigrate.gov.in to provide protection and welfare to the Indian emigrants abroad. “The said registration of Non-ECR passport holders will be mandatory and required to be completed at least 24 hours prior to the actual departure,” the advisory posted on the recruitment portal stated. “Off-loading of unregistered non-ECR emigrants at the airports would be effected by the appropriate authority after January 1, 2019,” it said. The online recruitment portal was established to ensure protection and welfare of the ECR (emigration clearance required) passport holders who are uneducated and unskilled. Such Indian citizens require an emigration clearance from the office of the Protector of Emigrants to seek employment in foreign countries, including Afghanistan, Bahrain, Indonesia, Iraq, Jordan, Kuwait, Lebanon, Libya, Malaysia, Oman, Qatar, Saudi Arabia, Sudan, South Sudan, Syria, Thailand, UAE and Yemen. The recruitment procedure through the eMigrate portal has been in place for ECR category since 2015 to protect them against human trafficking, illegal recruitment and exploitation. The protection ensured through the eMigrate portal for this category of workers has now been extended to ECNR (emigration clearance not required) passport holders as well. More than a dozen categories of Indian citizens automatically qualify for ECNR status, including income-tax payers, those below 18 years and above the age of 50, and those with an educational qualification of matriculation and above. The ministry has now urged all Indians travelling to these 18 countries on employment visas, irrespective of their educational and employment background, to register online with immediate effect. On successful completion of online registration, the applicant would receive a confirmatory SMS/ email. This confirmation will have to be shown at the airport from where the applicant boards the flight. 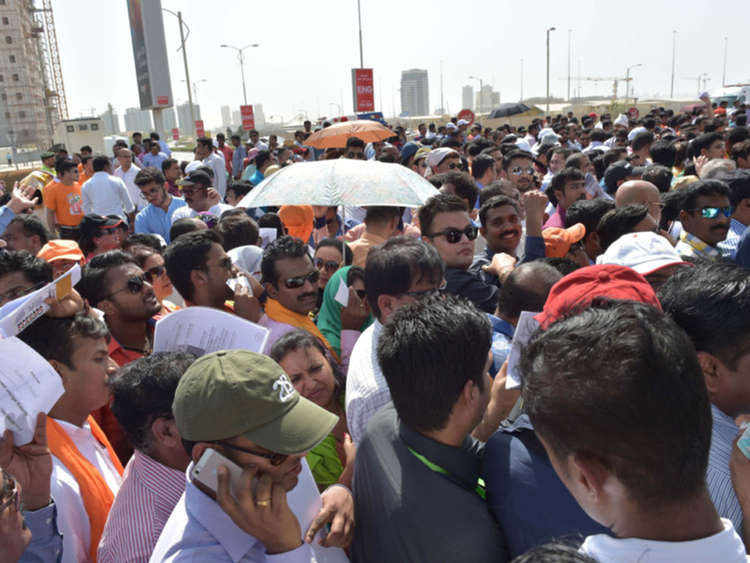 Consul General of India in Dubai Vipul said the ministry’s move is another step from the Indian government to ensure the welfare and proper working conditions of all Indian workers going abroad, especially those who are susceptible and going overseas for the first time. “A lot of people, even in the ECNR category do not have the experience of working abroad. This will help them,” he told Gulf News. Reports of Indians falling victims to bogus job offers also could have been a reason for the introduction of the new rule, he observed. “There have been many cases where people are getting cheated with bogus job offers. There have been cases targeting professionals, teachers, doctors and others. Recently, we dealt with at least two or three cases related to a particular hospital in Al Ain,” Vipul said, pointing out that the new move will help prevent educated job aspirants from falling for fake job offers. Job seekers having queries and seeking clarifications can contact Pravasi Bharatiya Sahayata Kendra (PBSK) in India on toll free number 1800113090 or 01140503090 (charges apply) or by email at mailto:helpline@mea.gov.in , the ministry’s advisory added.